I was browsing a while back on some sites to see if there are any good rock concerts planned in the near future. 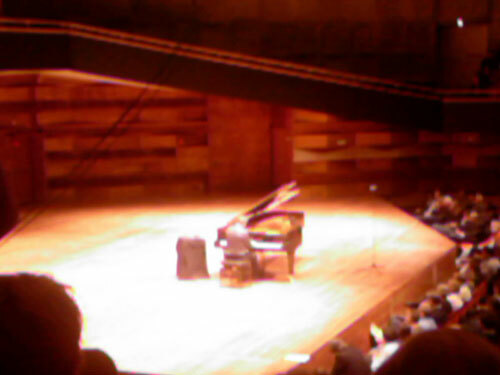 And to my delighted surprise I found that the musician/composer Philip Glass was giving a concert in my home town! As a part of the Philip Glass festival. As you can see it was only him, the piano and us. After every piece (about 20 minutes each of Glass’s awesome repetitive patterns) he mumbled something in the microphone which was unfortunately not very understandable for us. But overall, it was pure awesomeness, he received about 4 standing ovations. 70 years old but he still knows how to handle the piano. This is a concert I will not forget easily. What a privilege to have seen this master perform live.